It looks like Wednesday’s announcement of the HTC EVO 4G LTE isn’t the only good news for Sprint customers. 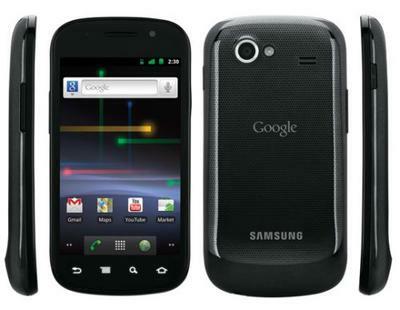 Sprint’s Google’s Nexus S 4G is finally getting updated to Android 4.0 Ice Cream Sandwich. The update will be pushed over-the-air and select Nexus S 4G owners can expect to see the software update as soon as today. The general user base will receive the patch within the next month, Sprint said. For details on what to expect from this update, check out the changelog below. A refined, evolved user interface that is simple, beautiful and useful. Redesigned camera, which introduces panorama mode, effects like silly faces and background replacement and a powerful photo editor. Data Usage helps you avoid data overage charges by allowing you to instantly see your data usage for any period of time or any app – and get notified before reaching your limit; you can even restrict background data for individual apps. Web browser now lets you sync Google Chrome bookmarks, request full desktop versions of sites, see your open tabs in a new layout and even store web pages for offline reading. People: browse friends, family and coworkers, see their photos in high-resolution and check their latest status updates from Google+. Improved keyboard with incredibly accurate typing, an inline spell checker and improved copy and paste support. New Calendar app that lets you add events quickly, sync with Google Calendar or Microsoft Exchange and even pinch to adjust your calendar display. Redesigned Gmail app that now lets you swipe between conversations to catch up quickly, and search for emails even without a data connection. Google+ integration that lets you hangout and video chat with up to 10 friends using your front-facing camera.